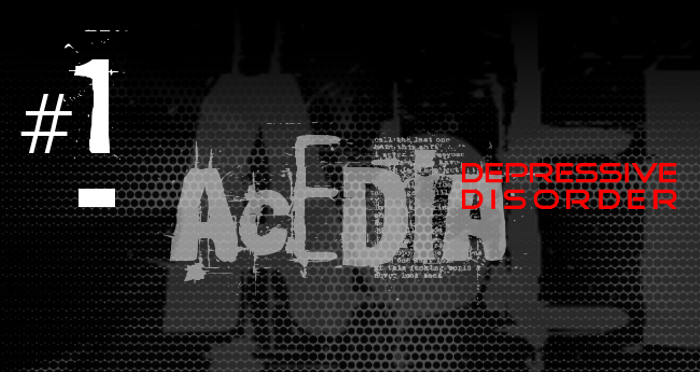 Všechny hudební produkty Depressive Disorder, lze pořídit ve formátech MP3, FLAC přes server Bandcamp. 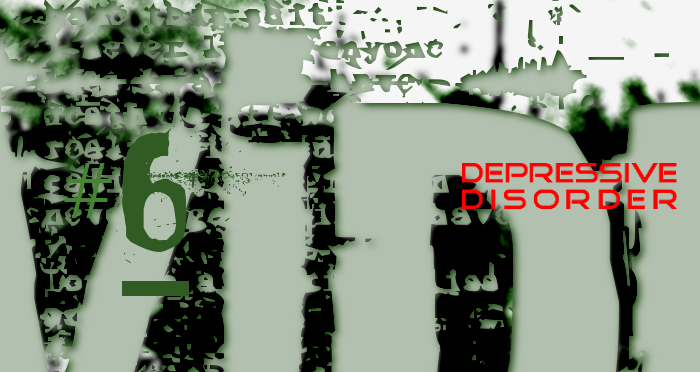 All music products Depressive Disorder can be purchased in MP3, FLAC via server Bandcamp. Nyní lze objednat produkty Depressive Disorder na e-shopu DeeJayDead. 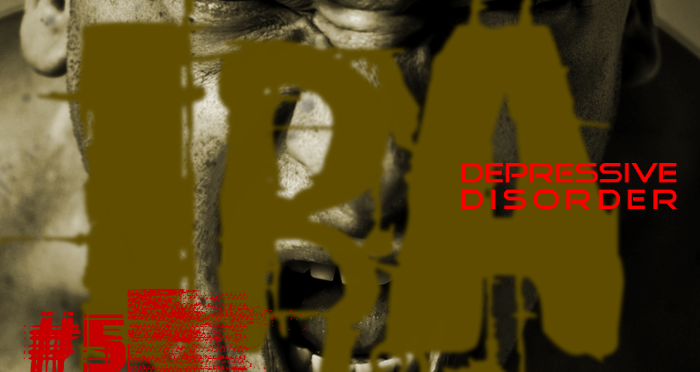 Now you can order products Depressive Disorder to e-shop DeeJayDead. 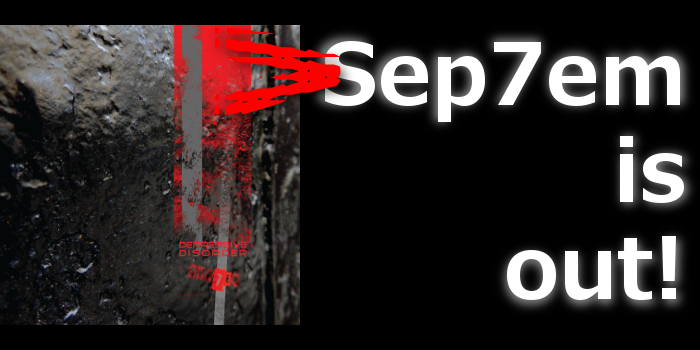 Depressive Disorder Sep7em Is Out! 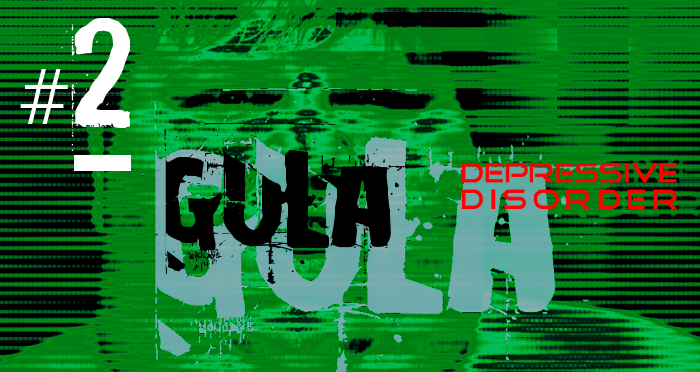 Depressive Disorder - Sep7em, 2014. 9. 1. Po pěti letech od vydání úspěšného alba The Chronicle Of Fear, vychází 1. 9. 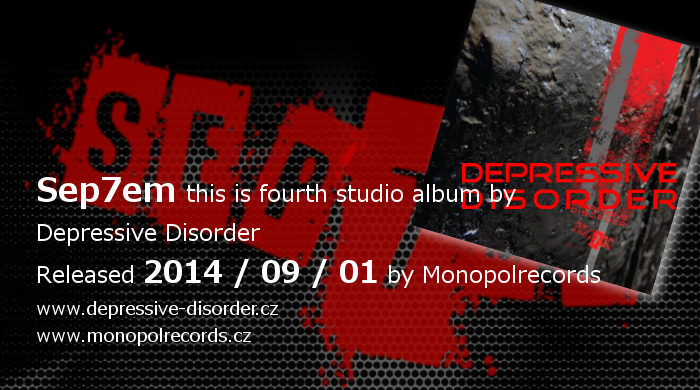 2014 pod labelem Monopolrecords čtvrtá studiová produkce Depressive Disorder pod názvem Sep7em. Five years after the release of a successful album The Chronicle Of Fear, first published in 2014 September 1st , under the label ninth Monopolrecords fourth studio production Depressive Disorder under the name Sep7em. It is conceived as an electro-industrial vision with lyrics that are illuminating perception of current topical issues still seven deadly sins. Depressive Disorder uvedli 17. května 2014 skladbu Superbia z připravované desky Sep7em. Depressive Disorder said 17. May 2014 Superbia song from the forthcoming album Sep7em. Depressive Disorder uvedli 9. května 2014 skladbu Invidia z připravované desky Sep7em. Depressive Disorder said 9. May 2014 Invidia song from the forthcoming album Sep7em. Depressive Disorder uvedli 2. května 2014 skladbu Ira z připravované desky Sep7em. Depressive Disorder said 2. May 2014 Ira song from the forthcoming album Sep7em. Depressive Disorder uvedli 24. dubna 2014 skladbu Avaritia z připravované desky Sep7em. Depressive Disorder said 24. 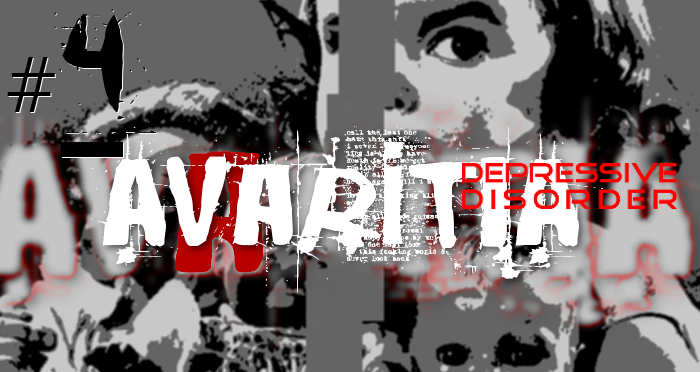 April 2014 Avaritia song from the forthcoming album Sep7em. Depressive Disorder uvedli 18. dubna 2014 skladbu Luxuria z připravované desky Sep7em. Depressive Disorder said 18. 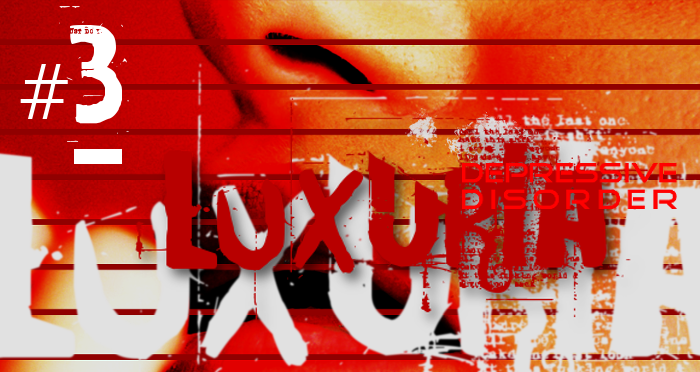 April 2014 Luxuria song from the forthcoming album Sep7em. Depressive Disorder uvedli 10. dubna 2014 skladbu Gula z připravované desky Sep7em. Depressive Disorder said 10. April 2014 Gula song from the forthcoming album Sep7em. Depressive Disorder uvedli 2. dubna 2014 skladbu Acedia z připravované desky Sep7em, která se koncepčně zabývá tématikou sedmi smrtelných hříchů. Depressive Disorder said 2. April 2014 Acedia song from the forthcoming album Sep7em that conceptually deals with the theme of the seven deadly sins.